Shop Hosa Stereo Breakout 3.5 mm TRS to Dual RCAF from AMS and enjoy Fast & Free Shipping. 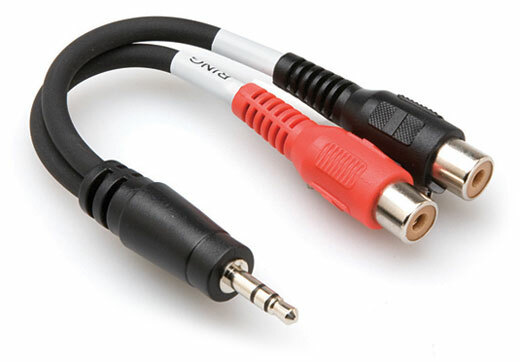 Backed by Hosa's Limited Lifetime Warranty, this high quality Hosa Cable YRA154 Stereo 1/8 Male to Dual RCA Female Y Cable features precision-molded terminations, braided shields, and heavy-duty insulation. Perfect adapter to go from RCA to 3.5 into Bose Sound Dock to check playback of recordings on something other than monitors. Bose makes good stuff and let's you "use" your ears and go back and tweek if needed. No noise added from the added connection.